As a new Rockwell Automation Encompass Partner, we were delighted to be involved in the Digital Twin presentation on the Innovation Booth at last November’s Rockwell Automation Fair in Houston, Texas. Haskell built the emulation model and prepared it to be connected to Allen Bradley Programmable Automation Controllers, as well as making the model ready to be experienced and controlled from within the HTC virtual environment. As you’ll see in the video (click here or watch above), users can interact with the HMI to start and stop equipment, see various results, and verify operation, all from within the virtual environment. 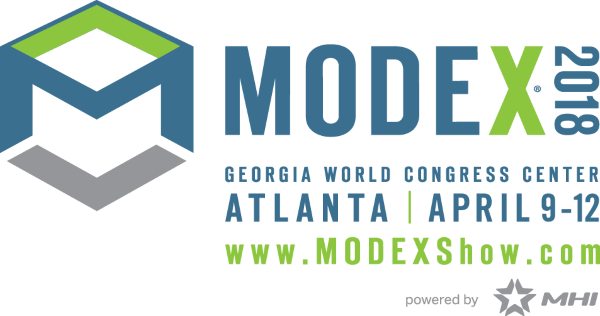 Emulate3D will be exhibiting on two booths at this year’s MODEX show – #B2338 and #C2645. Both will feature CAD is the Model, our new Emulation technology designed to make life easier and more productive for machine builders, as well as system-wide virtual commissioning and our VR/AR communication solutions. We’ll be presenting an on-floor seminar in the new Smart Manufacturing hall, entitled, “Digital Twins – Why, and Why Now? – A Pragmatic 5-Step Approach to Unlocking Value” – click here for further details, and be sure to arrive armed with questions. User Group Meeting Workshop attendees may now access the edited video recordings of the Professional Workshop sessions, presented by Andrew Deeble on February 20th 2018. Contact us for details. 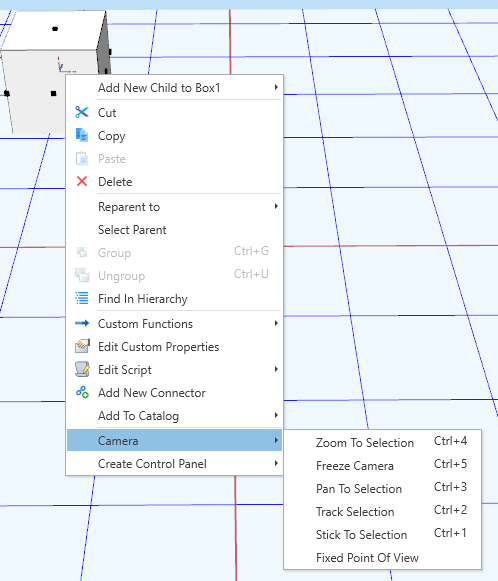 Within Demo3D, there are five keyboard shortcuts which manipulate the camera views in different ways. This allows easy tracking of items within models; a load can be tracked from creation through a conveyor system to deletion for example. At the point at which this camera option is activated, the camera will move with the object selected constantly maintaining the same distance and angle from the object. The camera performs a birds eye view tracking of the selected object in the model, panning, moving and rotating around the model as required to follow the object. The camera pans to the select object with rotation only. The camera’s location and zoom remains unchanged. The camera zooms to the selected object, offering a close up view of it. Once the zoom has been performed, the camera will not continue to follow the object unless another command is issued. The camere is immediately frozen in the current view position, performing no movements or rotations.